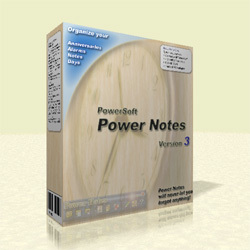 Power Notes is a simple application; basically it creates electronic sticky notes for PC owners. The program has three major components. First is Organizer that arranges otherwise chaotic pieces of information in orderly manner. Second is Scheduler, a component that is responsible for planning events and running tasks when they are supposed to be executed. The new version of the organizer Dynamic Notes 3.69 has been released.